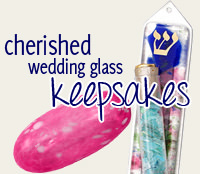 The Bride And Groom Hold Hands While Standing Under The Chupah In This Lovely Wedding Mezuzah. 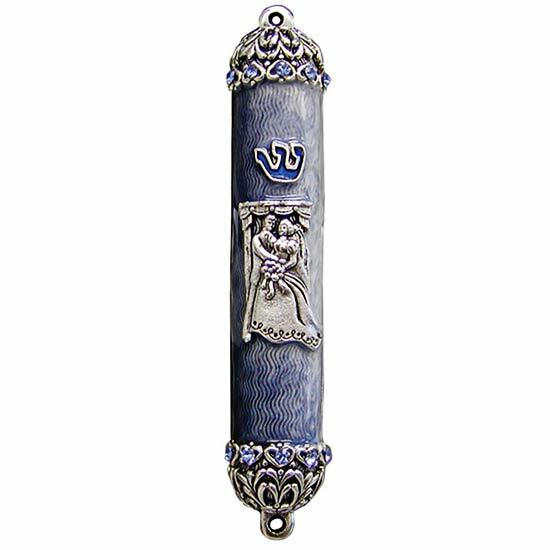 The Mezuzah Is Made From A Non-Tarnishing Pewter And Finished With Shades Of Blue. The Mezuzah Is 4" Tall. Package came in a timely fashion. It is a gift that has not been given as yet, but the Mezuzah looks lovely. It is a wedding shower gift. i am sure that the recipient will enjoy this gift. 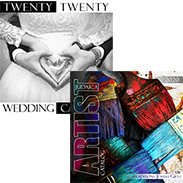 Very nice quality, colors, artistic style of Wedding .